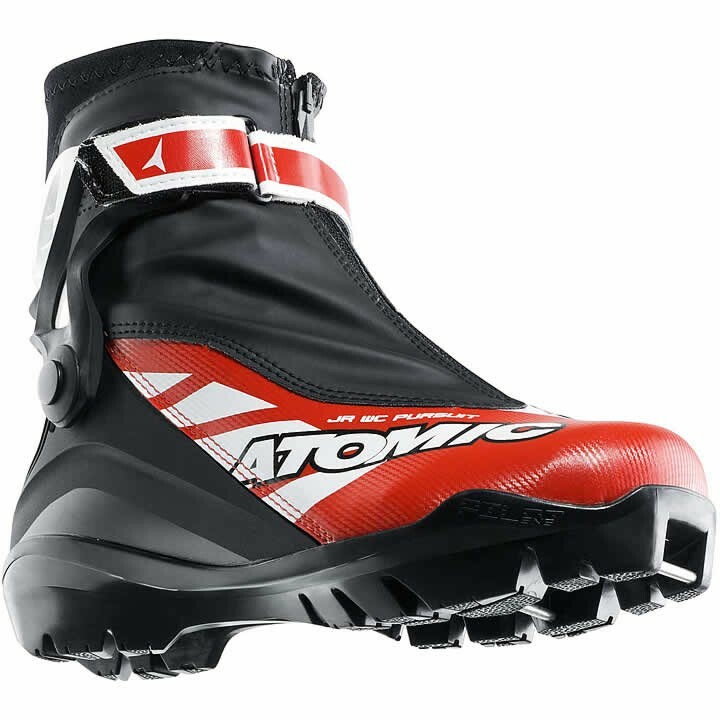 The new Atomic Junior Worldcup Pursuit is the perfect skating boot for the World Champions of tomorrow. Nevertheless, with its combi flex it can also be used for classic skiing. The narrow Junior last gives the cross-country skier precision control of the ski in all race situations, while the forefit lacing from the forefoot to the heel can be perfectly adapted to the foot in a single motion. Its snug fit is complemented by the heel strap, which supports the skier's heel and ankle - providing additional support during the kick phase. Clever details: soft liners in the boot cuff prevent pressure sores in the ankle area. Awesome boots , I’d say the best for the price !